With summer in full swing, one of my favorite foods are now in season: berries! 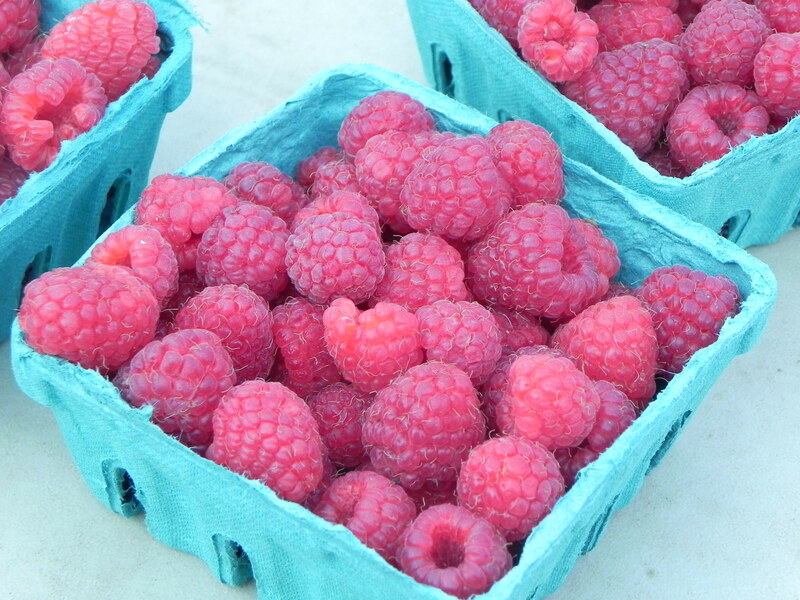 The summer months bring all berries into season-strawberries, blackberries, raspberries-you name it. Harvest is also in action for another, less common berry known as the Acai berry. 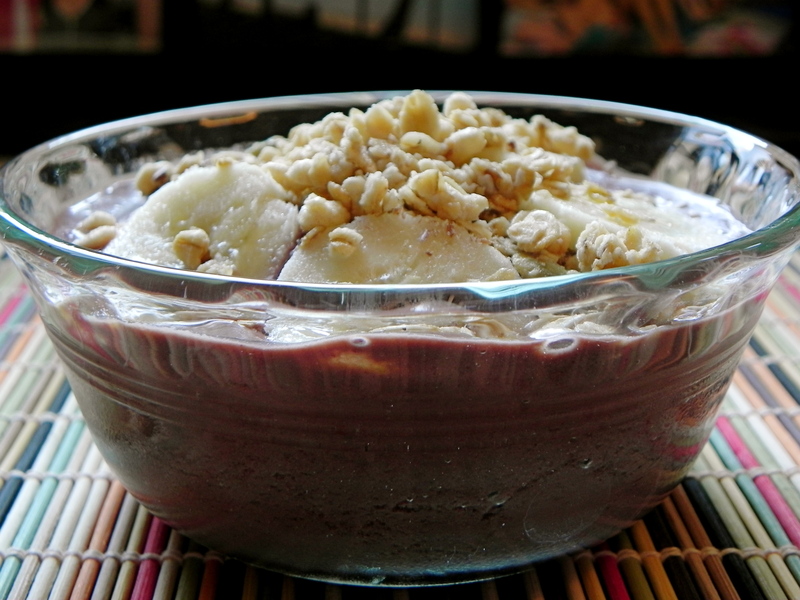 Acai (pronounced ah-sigh-ee) became popular a few years back when it was claimed as a “superfood”, saying that it could increase energy, prevent aging and cure disease. Though this berry may have many health benefits, messages and media tend to exaggerate, and based on research, it’s been found that Acai is just like every other berry out there; it’s good for you and tastes great! 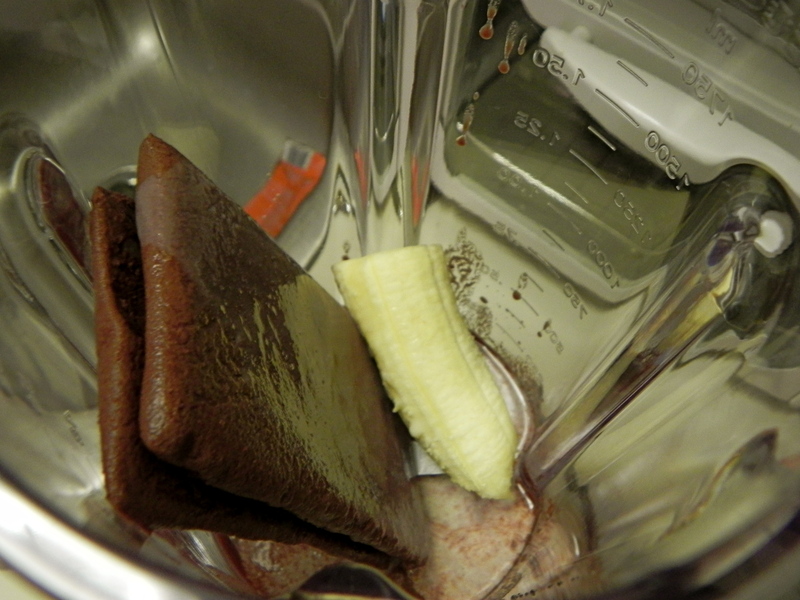 Then blend with a touch of soy or skim milk, half a banana, and some flax for extra fiber and nutrients. The consistency is supposed to be thick, so don’t blend for too long! 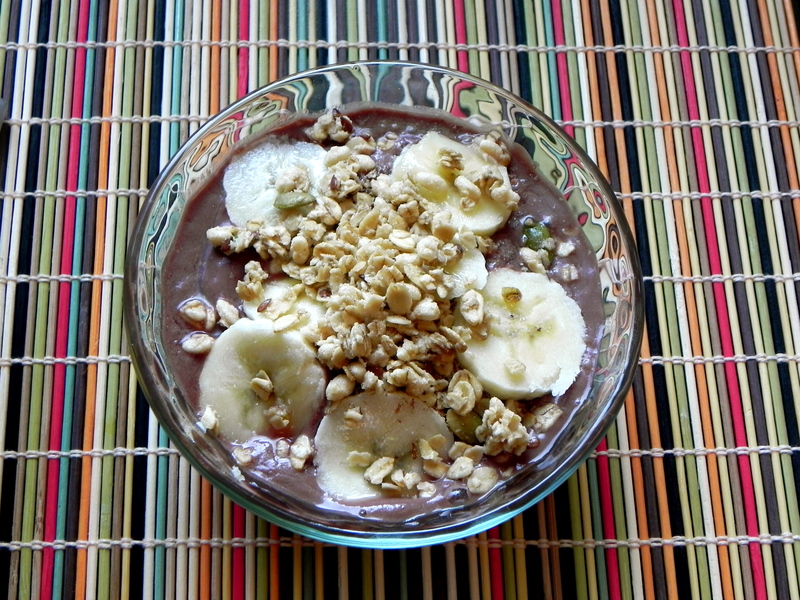 When it’s ready, pour into a bowl and top with bananas and a sprinkle of granola. Then take pictures. Ah-sigh-yum! This bowl is refreshing and tasty-perfect for a summer day. Enjoy! yumm!!! I love it! Where did you get the smoothie packs? Yum! Wild berries are the best. 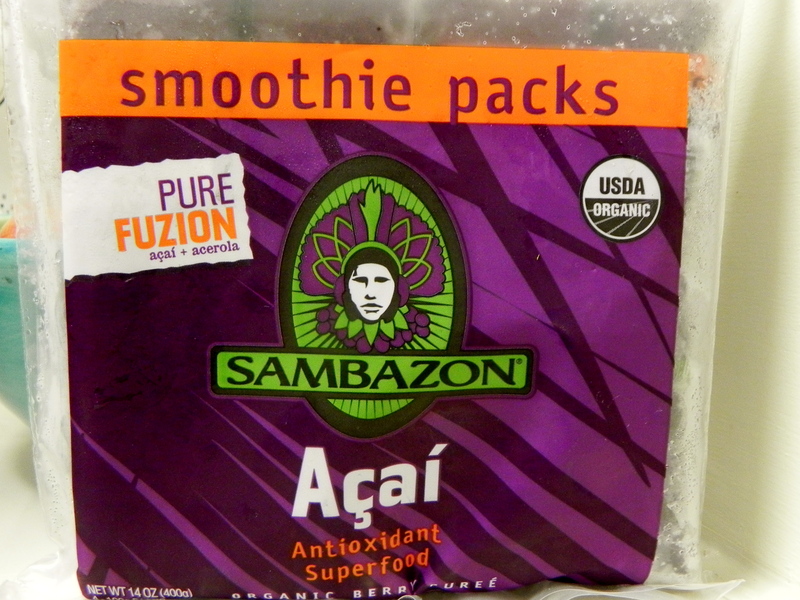 You can get the smoothie packs at whole foods and other natural/organic food stores. This seems really healthy! Interesting comment about the media. I guess because it’s a new berry being introduced? Thanks for the helpful insight.